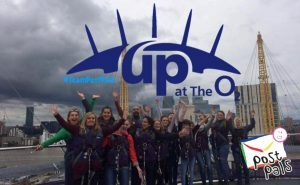 On the 7th of October over 40 brave volunteers climbed the O2 to raise funds for our Chessington trip. 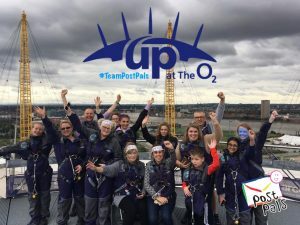 Volunteers including our Pal Malachi who was the first blind child to ever climb and Amina who had IVs just before doing the climb! Between them they raised a MASSIVE £7000 which we have used to books lots of rooms at Chessington! 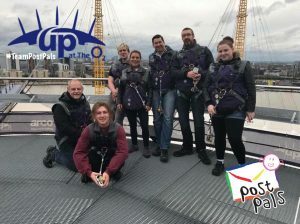 We are doing another climb climb in January as we still have a long way to go before we can take all our families for a fun weekend away, please email viks@postpals.co.uk if you would like to take part.